When most travellers think of Northern Europe, cold temperatures, snow and short days tend to come to mind. However those people who have experienced it will know that in summer the region comes into bloom, and in countries like Iceland, Latvia, Russia and Finland there are all kinds of cultural and natural sights to discover during the warmer months. Beautiful all year round, Russia should be at the top of your list of places to visit in Northern Europe. In summer the country enjoys pleasant temperatures and lots of green spaces – certainly the best time of the year to explore all this northerly destination has to offer. Exploring the western region of the Federation is a good place to start. Here, you can discover the arty, cultural city of St Petersburg and its amazing architecture and museums such as the State Hermitage Museum and Winter Palace while staying at Kempinski Hotel Moika 22. Or, for the classic Russian sights, stay at Hotel Baltschug Kempinski in Moscow, and enjoy luxury accommodation in the heart of the city, close to the famous sights of the Kremlin, Saint Basil's Cathedral and Red Square. Alternatively, head to the coast of the Black Sea and experience a uniquely Russian seaside holiday staying at Kempinski Grand Hotel Gelendzhik. With warm temperatures year-round, plenty of attractions and lots of natural areas to explore, it is easy to understand why the place is so popular with Russians. With a fascinating rocky landscape, Iceland's thermal pools, glaciers, waterfalls and fjords are world-famous. Iceland is a popular winter destination for activities such as snowmobiling and glacier hiking, and of course catching sight of the spectacular Northern Lights. However there are lots of activities to enjoy during the summer too. During the warmer months large parts of the island are opened up to adventurous visitors. You can head northwest to tiny fishing villages like Siglufjörður - home to an entertaining Summer Folk Festival and lots of bird life - or Dalvík, where you can enjoy whale-watching boat trips under the midnight sun. Then there is the capital, Reykjavík, which becomes even more vibrant in summer with festivals like Iceland National Day (17 June) and Secret Solstice (15-18 June). You can also catch music festivals throughout July in places such as Borgarfjörður and Neskaupstaður – the Bræðslan international music festival and Eistnaflug hard rock festival, respectively. 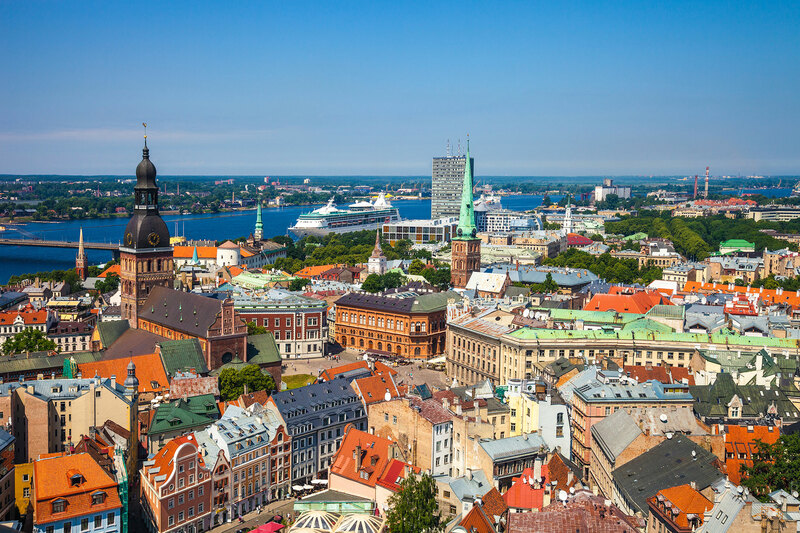 If you are thinking of taking a trip to see Latvia and its captivating capital Riga, summer is the best time to do so. Staying at Grand Hotel Kempinski Riga in elegance and luxury, you can enjoy the city's beautiful architecture and collection of museums that cover everything from fine art to life under soviet rule. There are also lots of outdoor areas to enjoy including large landscaped parks, a botanical garden and pretty waterways where visitors can try kayaking and paddle-boarding. There are even a few small beaches on the edges of the city, Kipsala beach is only a 10 minute walk from the city centre, and Vecāķi beach is a short train ride away in the northern neighbourhood. Out of town there are a range of great Baltic Sea resorts to visit, and plenty of forest and river landscapes to explore as the days grow longer. Finland has everything from natural beauty, friendly locals and plenty of saunas, and in summer it gets even better with a great range of outdoor activities, as well as hosting music festivals of all kinds and lots of cultural events. Between June and August, the sun simply does not set and temperatures are between 20°C - 30°C. With the winters in Finland often being too cold for many travellers, take advantage of the change in weather, which gives cities like Helsinki an amazing atmosphere where visitors and locals alike make the most of the short but exciting summer. Summer is definitely the best time to visit Estonia, when the Baltic climate changes and bathes the country in a very welcome warmth. Between June and August, the country's national parks are a great place to visit, whether you are exploring the peaceful Peetri River Landscape Protection Area and its limestone cliffs on the southern border of the country, the atmospheric and primeval Viru Bog only an hour’s drive from Tallinn, or Soomaa National Park and its friendly beavers close to the city of Pärnu. Estonia’s capital city Tallinn is one of Europe's lesser-visited capitals. In summer the pretty and inviting city becomes home to all sorts of art events, music festivals and cultural experiences. Tallinn Flower Festival runs from May to August in Towers’ Square, Birgitta Festival (4-13 August) with a programme of opera and ballet performances is held in the ancient ruins of Pirita Convent, and for pop and rock fans, Õllesummer Festival at Tallinn Song Festival Grounds takes place 5-8 July with a line-up of well-known European acts. See our full range of destinations here and plan your trip with Kempinski.